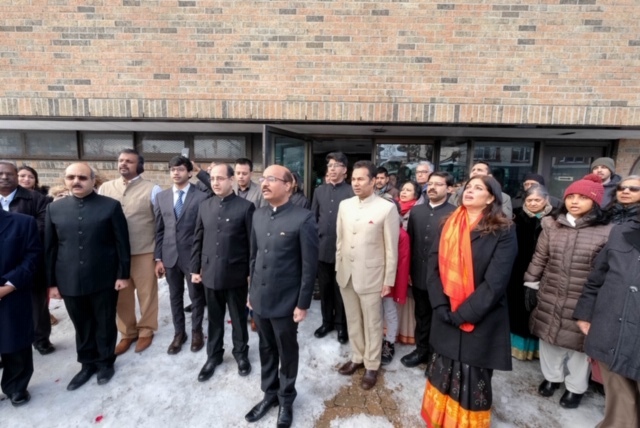 High Commission of India in Ottawa celebrated the 70th Republic Day of India with fervor and zeal. All members of the Mission with their families, members of the Indian community and friends of India including Member of Parliament from Canada, Mr. Chandra Arya and Canada's Chief of Protocol, Ambassador Stewart R Wheeler attended the flag hoisting ceremony. 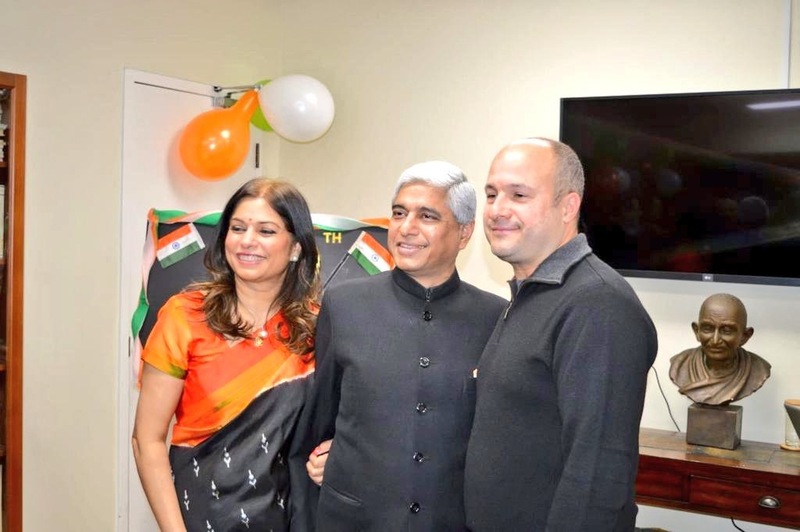 High Commissioner, Mr.Vikas Swarup unfurled the tricolour which was followed by singing of national Anthem. Thereafter, High commissioner read out the Hon'ble President's message to the Nation which was followed by singing of patriotic songs by Sapt Swaras, a prominent local India musical group. Few photographs of the celebration are attached. About 150 persons attended the ceremony. Light refreshments were also served.